186th Street School is a diverse learning community dedicated to providing the highest standard of instruction to all children in their quest for academic rigor and excellence in a safe, nurturing environment that fosters respect and responsibility. Our school’s mission is to motivate and equip students to achieve their greatest potential, be college prepared, career ready, and contribute meaningfully to society. Our school motto is Owls… Winning… Learning…Succeeding! We are soaring to academic excellence. 186th Street School was established over 100 years ago and continues to be a source of pride for the Los Angeles Unified School District. The school continues to experience tremendous growth in academic achievement. The current ranking for the 3-year average Academic Performance Index is 845. 186th Street School has been recognized three times as a Title 1 Academic Achieving School and a California Distinguished School in 2012. 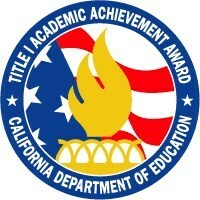 Our school has been honored as a Character Counts School, a California School Board Association’s Golden Bell Award Winner for Collaborative Community Partnerships, a Los Angeles Unified School District Arts Banner School, a Peace First Showcase School, a California Business for Education Excellence Honor Roll School, and it has received several National Peace Awards for Collaboration with Community Partnerships. 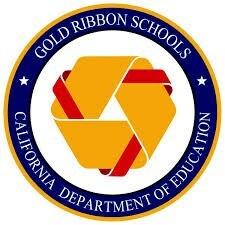 In 2016, 186th Street was honored with the California Gold Ribbon School Award and a Title 1 Academic Achievement Award. In addition, our principal, Marcia Reed, was named the National Distinguished Principal for California. Students who attend 186th Street School come from two geographically separate communities: the Gardena neighborhood and the Harbor Gateway portion of Los Angeles, which is 1.5 miles south of the school. The students from the Harbor Gateway community live in a neighborhood characterized by high crime rates, gang activity, poverty, inaccessibility to health and human services, language barriers, and lack of quality recreational facilities. 186th Street School serves as a sanctuary where children and families find a forum for sharing these problems and concerns and receive needed assistance. 186th Street School serves an ethnically diverse population of 859 students in Pre-Kindergarten through 5th grade. The 2016-2017 ethnic survey indicates a student body comprised of 69% Hispanic, 17% African American, 7% Asian, 3% White, 2% Filipino, 1% Pacific Islander, and 1% Native American. As of 2014, 261 were identified as English Language Learners. Currently 82% of our students qualify as low income, 67 are homeless, and 6 children live with foster parents. Our School Plan addresses the needs of all students utilizing specialized programs and those that are grant-funded: Special Education, Gifted and Talented Education, Arts Education, and After School Intervention Programs. The Healthy Start Program provides additional support through counseling, health services, basic needs, health insurance enrollments and parent education classes. Each fall, our Peace First Program offers grade level curricular lessons in conflict resolution followed up with a service learning project for every student during the spring semester. An active Parent Center provides a special place where parents feel welcomed and are encouraged to participate in school activities. The Parent Teacher Association and Parent Ambassadors work hand in hand to promote school pride, build an appreciation for diversity, and strengthen school and community connections.